Our installations team had a special delivery to make recently to Dunkirk Veteran Raymonde. Her new lounge chair will be perfect for watching the blockbuster movie "Dunkirk" on, which is currently in the cinemas. Or perhaps for just putting her feet up at the end of a long day. 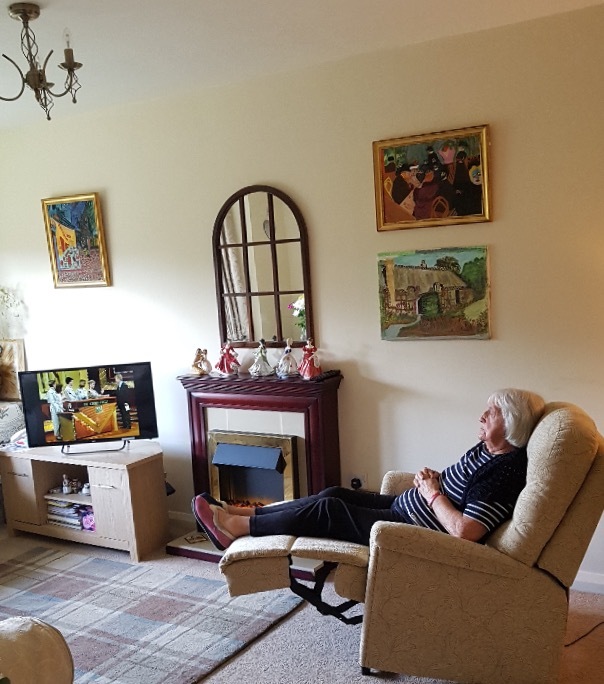 Raymonde, aged 90, was a lookout for the French resistance in Dunkerque during the Second World War, and will be able to watch her telly with her feet up, or stand easily with the aid of a new riser recliner chair bought from Castle Comfort. What was life like back then? When all the British and French soldiers were on the beaches, some 300,000 of them, and being bombed by German planes and having their ships torpedoed by submarines – it looked a desperate situation, cornered with nowhere to go. This is where the phrase Dunkirk Spirit comes from – the overcoming of overwhelming odds stacked against you. I was born in Dunkirk in 1927. My father Louis Defeyer met my mother Madeleine Provou and they became engaged to be married in 1913, unfortunately the war broke out in 1914 and father was conscripted to the front line so the wedding was postponed until he was granted leave. Father was billeted on the Somme and Verdin and life went on!. A problem then arose because mother got pregnant and father could not get leave from the front to marry. My father worried that if he got killed my mother would have no pension and so his officer arranged for a priest to marry them by proxy. Four years later demoralised and under nourished my father got leave from the Army and met his 4 year old daughter Marguerite for the first time. My parents had 9 children, 2 died in infancy and 2 of us remain, my dear sister Nicole who I am in regular contact with, is 80 years old. As a child my schooling was basic and we all went to church regularly. My dad got a job working in the docks after the First World War, and mother had to help put food on the table by taking in sewing and patching our clothes to hand down, as there were no benefits to help my parents. We were very poor and mother did wonders with the small amounts of food ingredients she could get. We had food and a warm clean bed. I remember father taking us to the beach to fill up flour bags with sand that he used to put into the oven to warm then put in our beds . When I was 8 years old my father was forced to strike along side other dockers, rail workers and miners and they were starved and bullied if they tried to break the strike. Following the strike in 1936 there was a Spanish Revolution so we had emigrants and in 1940 we were aware that among the Spanish emigrants we had the German Fifth Column infiltrated among the rush of emigrants. They were recognised by the red blankets they wore on their backs so it was not just the war in progress but the Germans had invaded and infiltrated the troops before the war started. The Belgians and Jewish people suffered the most as the German Nazi put markers on the Jewish houses and shops in preparation to arrest them and send them by train to concentration camps. In 1940 the English soldiers were waiting in the dunes along the beaches to be rescued but the big ships couldn't approach so later civilian volunteers came from England in little boats before the Germans occupied Dunkirk. This mass evacuation was codenamed Operation Dynamo and the troops made a sort of bridge out of abandoned cars, jeeps and trucks so they could beach the little boats. It was not easy because the German planes bombarded day and night never stopping. When the troops were doing their best the town people of Dunkirk opened all the water towers around the town. I was 13 years old then and remember sheltering from the bombs in the towns Assizes Court. It was total carnage for a week as there was no escape. The people who died could not be buried and my dad and other civilians made a mass grave and boxes with names on. At 15 years old I became a runner for the resistance and once when giving a British pilot a drink of water after he was shot down, a German soldier kicked me. Strangely I was to meet this British pilot many years later after I married my English husband who was in the Royal Navy. We always find it interesting hearing the yesteryear golden age memories of many of our customers. 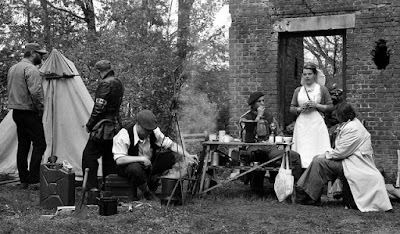 If you played a part in World War I or World War II then get in touch with us here at Castle Comfort with your story. You can email it to us here. We will award a prize of a £50 Marks and Spencers voucher for the letter that our voting panel unanimously votes to be the best. Competition ends 2nd September 2017 (Official anniversary of the end of WWII).